We sell beautiful and unique Fine Art Prints from Award Winning Travel Photographer Andrew Lever. Large Limited Edition Prints are our speciality. FREE UK SHIPPING / EASTER PRINT SALE NOW ON !! 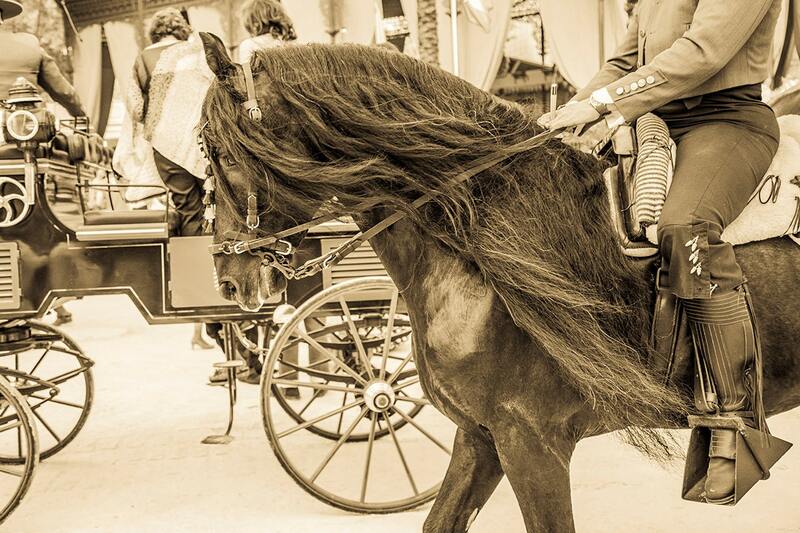 A sepia toned image of a beautiful black horse with a lustrous long mane at the Jerez Horse Festival in Spain. size - 10"x12" / Other sizes available. C Type Print signed on the back. Print information - Digital C-types are real photographic prints, created on light sensitive professional photographic paper using a finely balanced red, green & blue light source. all Printing is overseen by me and the prints are thoroughly checked and signed on the back.